Will Better Batteries Wipe Out Wireless Power? Disposable and rechargeable batteries are getting smaller, lighter, and more powerful every year. Ever growing energy densities and power levels make older batteries stupefyingly small. Case in point: The first credible GSM Nokia phone – Nokia 2110 – has a smaller battery capacity than the AppleWatch of today. Would huge battery capacity replace the need for real wireless power that works like Wi-Fi? It makes sense that a future super battery would hold wireless power development back -- or even make it obsolete, right? Batteries are, by design, a flawed solution to our future of mobile, flexible, renewable energy. Here’s why. Batteries, including rechargeable ones, have a limited energy storage capacity. Even as we invent new ways to pack more power into a single battery, the end result is that it runs out of power. Even if we don’t use the device the battery will drain. That’s because batteries naturally leak their charge, and some batteries don't like that leakage: when was the last time you found a battery leaking chemical goo into an device unused for a long time? Relying on a battery powered device in a time-sensitive or life-or-death situation can seriously cost you when their batteries run low or run out. Think about flashlights, defibrillators, smoke detectors, medical equipment, price scanners, and all the other hundreds of devices that we rely on to be 100% ready when we need them most. True, most devices are designed to work even if the battery is at a low-charge capacity -- but you’ll likely see that your device is compromised: the light isn’t as bright, and even some functionality can be missing entirely. That’s because product designers understand that the battery will always be in a state of depletion and design the device to work at a lower capability to preserve energy (iOS 7 introduced “Low power mode” to conserve the last amount of battery juice in your phone). Devices that are always on and always charged with wireless power means no missed opportunities or time lost searching for energy sources, available outlets, or the right battery. Currently, to get more power, you need a larger battery or connect to the wall socket, which is not only a physical impediment but also a costly/limiting one. 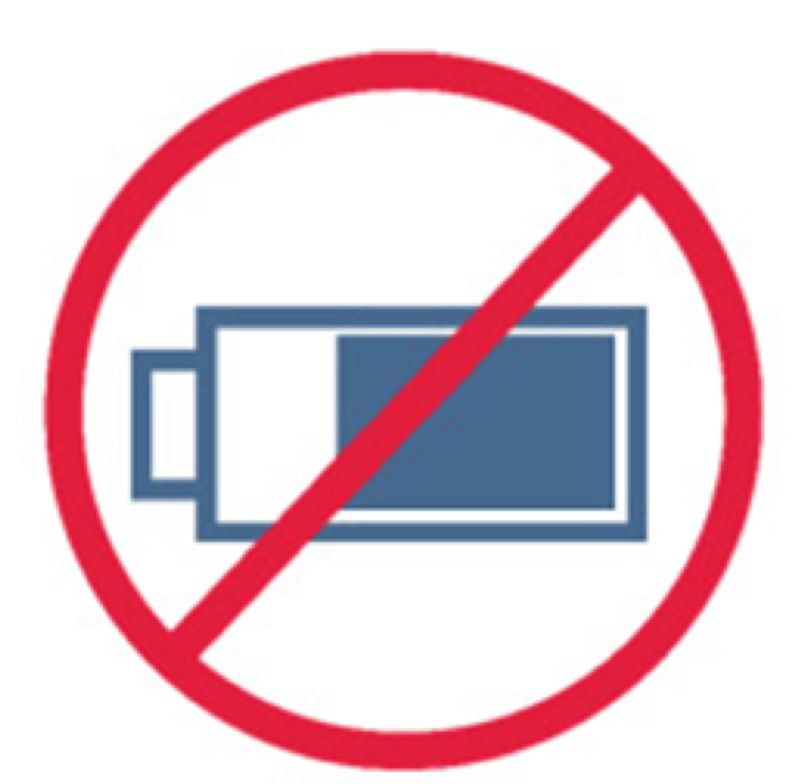 Accommodating a large capacity battery may not be possible in a small device or IoT, placing tight restrictions on the features that designers can include. And wires, are, ah, limiting. With wireless power at play, battery capacity is no longer an overriding constraint for mobile and IoT devices because you have continuous power everywhere you go, delivered just like Wi-Fi. As more and more businesses adopt wireless power and integrate it throughout their business locations and products, expect product design and innovation to boom in a way that it can’t currently within the limitations of batteries, battery life, charging downtime, battery cost, and bulky induction components. Also, for the trillion IoT appliances and devices projected for future use, It will not be possible to expect us to manage a trillion batteries or a install trillion wires, not only is the burden too large for mere mortals to execute, but the environmental impact will be devastating. An obvious consequence of not needing batteries is not needing to manufacture or dispose of batteries -- not to mention mine for their ingredients, sometimes from war-torn areas around the globe. Disposable batteries contain toxic materials such as lithium, mercury, acid, lead, nickel and cadmium. Mining these materials can be harmful to workers and surrounding communities, and safely disposing of them, so the toxic metals do not contaminate soil or groundwater, remains a societal challenge. Wireless power has the potential for us to avoid having billions of future batteries -- and charging cords -- ending up in landfills. This will be a big improvement for the health of our environment and our communities. Why Will Wireless Power Beat the Battery? With Cota’s real wireless power -- no cords required, no replacing fresh batteries or recycling used batteries, less material and energy waste -- people will have access to a clean-charging technology that only turns on when your devices are in range. It will charge many devices at a time, without you even having to think about it. And, when in a wireless-powered space, it will always be 100% charged by design, safely and efficiently. Cota‘s Wireless power technology fits inside the smallest of devices, which means it can even integrate into an existing battery design, so you don't have to replace your devices to gain use and utility of wireless power. This will lead to faster access to wireless power for everyone. How will reducing our dependency on batteries by adopting wireless power transform your industry?